The photos taken by Farm Security Administration photographers in the 1930s are some of the most iconic images in American history. 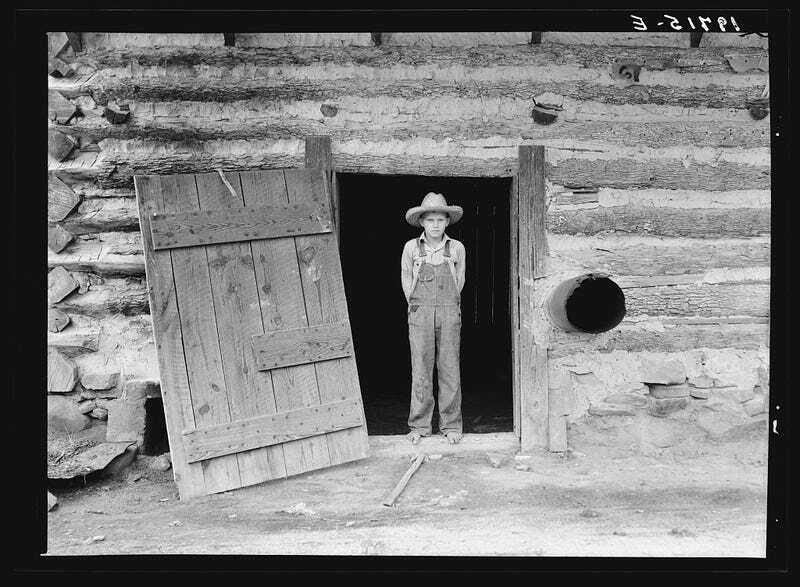 We’re all familiar with some of the snapshots of craggy-faced farmers, but unseen photos in government archives tell a more complex story of a struggling country. Yale just released a terrific database of 170,000 of them. The wonderfully smooth design of Yale’s so-called Photogrammer is a pleasure to browse. It’s just a map of the United States where each county is clickable. Simply find the area you want to explore, just as you might on Google Maps, and the interactive database will show you photos spanning from 1935 to 1945. That means you get a glimpse of everything from Depression recovery to war preparations. You can also sort by photographer, including legends like Dorothy Lange and Walker Evans. Here’s a selection of what the archive has to offer. But honestly, you should just spend the rest of your afternoon browsing around the whole country. The images tell both a woeful history of America in its hardest moments, as well the inspirational recovery. Clarification: The photos made available by Photogrammer were originally available through the Farm Security Administration/Office of War Information Black-and-White Negatives collection at the Library of Congress. However, Yale’s project makes the images easier to browse and explore.